Extremely addictive. 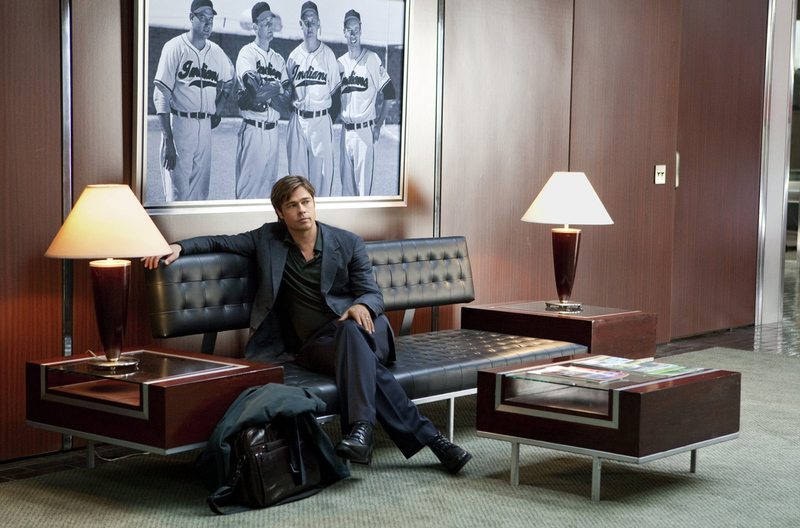 Moneyball is a dialogue-strong, location-authentic look at how baseball is played off the field. 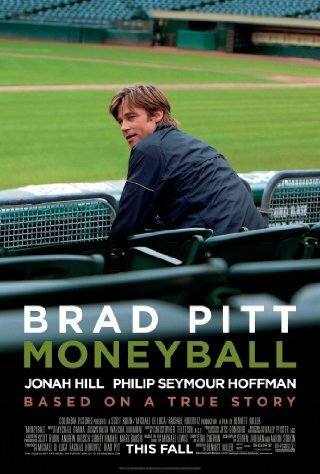 This true story chronicles how General Manager Billy Beane (Brad Pitt) was hindered by working with the lowest budget of any team in Major League Baseball, and yet steered the Oakland A’s to a winning season with the help of a pudgy grad from Yale and numbers guy named Peter Brand (Jonah Hill) who helped come up with a system of charting successful players through computer analysis. Beane was a New York Mets rookie sensation in 1984 but flamed out by 1989, asking for a position in general management with the A’s. The biggest heartache of his second career is seeing his team year after year fail to succeed in the playoffs. After losing star players including center fielder Johnny Damon, first baseman Jason Giambi, and closer Jason Isringhausen to other teams with flushed pockets, Beane was looking at a likely losing season. The New York Yankees in comparison had a $114 million budget. The A’s are a small market team with a $39 million budget. He is dogged in his resolve to change something about the A’s knowing that money alone isn’t going to do it. 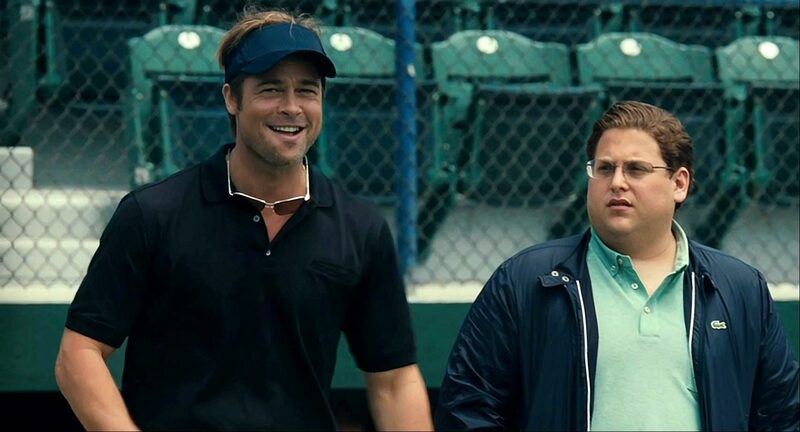 “Moneyball” is a compulsively watchable and re-watchable movie with lots of classic scenes, most of them consisting of bantering and ego clashing inside the walls of the A’s organization. Nobody believes in the math-science system, but once done right, the A’s go on a record winning streak following the All-Star break. During the winning streak, Beane is never satisfied myself as he sees himself as his own jinx (he can’t watch the games, he has to lift weights or go on wandering drives). His own daughter, whom he picks up from his ex-wife on occasional weekends, has to remind her daddy that he’s not a loser. There’s a lot that connects to the audience though, even for non-baseball fans. It also is a fantasy that we wish we all had Beane’s problems instead of ours. Directed with intelligence and steadiness by Bennett Miller (“Capote”), with tons of verbal panache, this flick has the legs to last relevantly for a long, long time. Film Cousins: “The Natural” (1984); “Hoosiers” (1986); “Bull Durham” (1988); “Any Given Sunday” (1999).